Our outdoor lighting solutions are not only the perfect solution for street lighting, but are also used next to buildings as well as on green spaces and open areas. TRILUX aims to responsibly design the complete urban landscape together with you for the benefit of society, enabling as many people as possible to profit of mature lighting solutions. Our light can highlight with white and coloured light, provide safety, allay fears, communicate an atmosphere of well-being, improve appearances and protect resources. As a universally positioned LED systems provider, we represent the complete bandwidth of solution skills, ranging from mature planning and precise implementation to customer-friendly service. Despite the sophisticated technology and high level of expertise integrated into our luminaires, we aim to make handling light as simple as possible for you, as summarised in our brand essence of SIMPLIFY YOUR LIGHT. 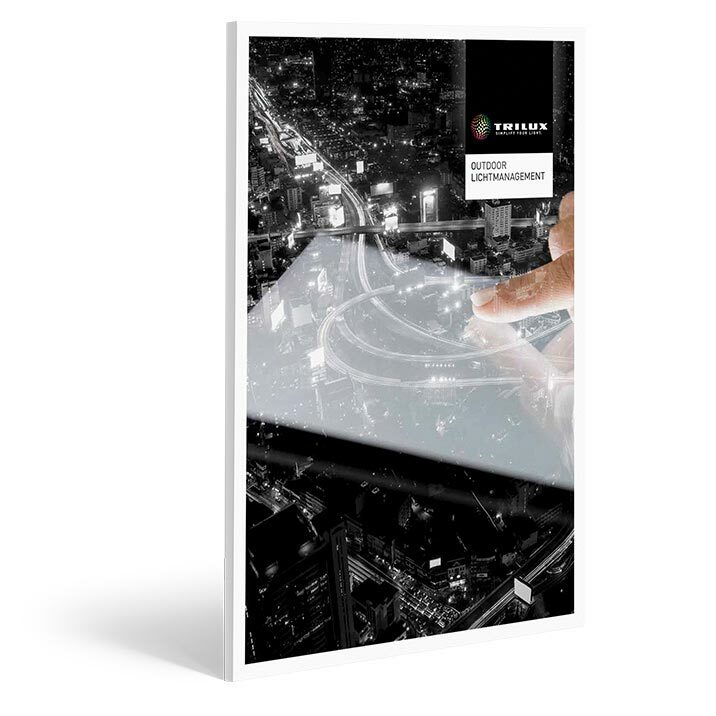 Not only the diverse advantages of light management systems are utilised, but completely new application options have been created by connectivity and Smart City. 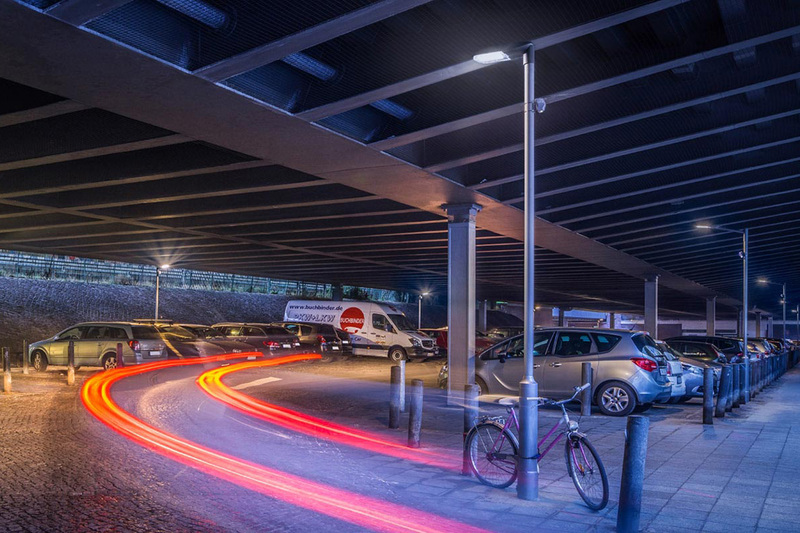 Light posts and columns with sensor technology help to locate parking spaces, provide wireless internet access, feature small screens that can be used for city marketing or city tours and serve as "filling stations" for E-bikes and electrically powered cars. TRILUX outdoor luminaires combine pioneering and high quality design, from classic to modern, with high-efficiency LED technology. The luminaires also feature very simple mounting and maintenance. The use of TRILUX LED luminaires with light management systems enables savings exceeding 80% compared to obsolete lighting installations. The TRILUX Akademie is the qualification partner for everyone professionally concerned with light. Fundamental lighting expertise is communicated using various training formats. Ask the TRILUX light experts! With a wide service and product portfolio, these range from auditing the existing lighting on location and designing the new system to financing, installation, maintenance and operating services.